On 5 November 2014, in a terrorist ramming attack, a Hamas operative deliberately drove a van at high speed into a crowd of people waiting at the Shimon HaTzadik light rail station in the Arzei HaBira neighborhood of Jerusalem. The perpetrator drove his van into a crowd of people at a light rail stop then left his van, and attacked nearby pedestrians with a metal crowbar. Police and Border Police forces then stated the perpetrator came at them with the crowbar, and in response shot the driver, killing him. Three people were killed, and thirteen others were wounded. The perpetrator, Ibrahim al-Akri, was a resident of Shuafat, held Israeli citizenship, and was a known supporter of Hamas. His brother, Musa al-Akri, was a member of the Hamas cell that murdered border policeman Nissim Toledano in 1992. He was released from Israeli prison in the Gilad Shalit prisoner exchange and exiled to Turkey. The attack comes shortly after Ibrahim al-Akari was released from prison due to security concerns. His family stated that his "martyrdom" was in response to the recent issues involving the Temple Mount. His funeral was attended by thousands of Palestinians holding signs calling al-Akri a hero and a martyr, as well as calling for the death to more Israel Defense Forces' soldiers. 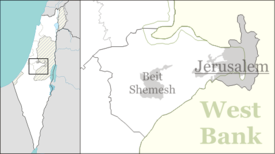 The first man killed was identified as Border Police officer Jedan Assad, 38, from the Druze village of Beit Jann. Assad was a father to a three-year-old boy, and his wife was five months pregnant with their second child at the time of his death. President Reuven Rivlin visited the family, describing Assad as "a devoted family man, a tremendous soldier", and calling the Druze community "an inseparable part of the Israeli experience". Shalom Aharon Baadani, 17, died from his wounds in the Hadassah Medical Center two days later. Baadani was riding his bicycle at the time of the attack when he was struck by the moving vehicle. Abd al-Karim Nafith Hamid, 60, from Anata in the West Bank died of his injuries on 7 December. He had been cared for at Jerusalem's Shaare Zedek Medical Center since the attack. In addition to the deaths, several other people, including police officers, suffered varying injuries. According to Magen David Adom, a total of ten people were injured, with one in critical condition, two seriously, three moderately, and four with slight wounds. Jerusalem police placed concrete barriers at light rail stations to prevent future attacks. In response to the attack, Jordan announced that they will be recalling their ambassador to Israel due to the unrest. Additionally, they will be filling a motion with the United Nations Security Council over the continued unrest in Jerusalem. Hamas claimed responsibility for the attack and called the driver a martyr who succeeded in his "heroic operation." Hamas also called on the Palestinian people to continue such attacks against Israel in defense of al-Aksa. Aqari's 16-year-old son said, "When I got home, I heard about the attack and I was very happy." Aqari's wife described her husband's motive for going on a killing spree, saying, "From the morning hours he kept close watch on what was happening at Al-Aqsa. He saw the blood, the wounded, the desecration and everything that was going on. He quickly left the house and went to the place of the attack to earn a place for himself among the shahids [martyrs] and heroes." John Kerry, the United States Secretary of State, spoke out against the attack, calling for peacemakers to control the peace process. ^ Dvir, Noam (5 November 2014). "LIVE: Terror attack in Jerusalem kills 1, terrorist shot dead". Ynetnews. Retrieved 5 November 2014. ^ a b c Terror in Jerusalem: Police shoot dead driver who rammed car into light rail station (5 November 2014). "Terror in Jerusalem: One dead as Palestinian driver rams van into crowded light rail station". The Jerusalem Post. Retrieved 5 November 2014. ^ Kershner, Isabel (5 November 2014). "Driver Plows Into Pedestrians Near Jerusalem Train Station". The New York Times. Retrieved 5 November 2014. ^ a b "In wake of attacks, concrete blocks to protect light rail stations". Israel HaYom. 6 November 2014. ^ "Police: 1 dead after car rams Jerusalem train platform in terror attack". Fox News. 5 November 2014. Retrieved 5 November 2014. ^ a b c Ho, Spencer (5 November 2014). "1 killed as driver plows into Jerusalem crowd in terror attack". The Times of Israel. Retrieved 5 November 2014. ^ Ho, Spencer (6 November 2014). "Thousands attend funeral of slain Border Police officer". Times of Israel. Retrieved 6 November 2014. ^ AZstaff (7 November 2014). "Rivlin: Druze 'An Inseparable Part of Israeli Experience'". Arutz Sheva. Retrieved 18 November 2014. ^ Newman, Marissa (8 December 2014). "Palestinian victim of Jerusalem car-ramming attack dies". Times of Israel. Retrieved 8 December 2014. ^ Eglash, Ruth (5 November 2014). "Palestinian attacker rams car into Jerusalem rail line; 1 killed". The Washington Post. Retrieved 5 November 2014. ^ Winer, Stuart (5 November 2014). "Hamas takes responsibility for Jerusalem van attack". The Times of Israel. Retrieved 5 November 2014. ^ Shlomi Eldar, The Third Intifada Is Here. November 6, 2014, Al-monitor.